Students at Russellville Junior High School recently completed their annual Model Car project. 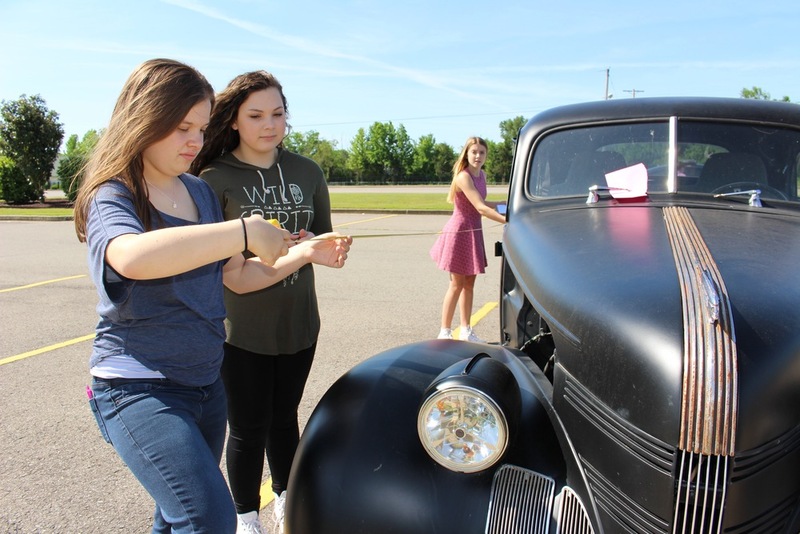 Each year, students in Ms. Hutchinson’s, Mr. Sichmeller’s, and Ms. Haley’s class work on a model car project that involves the students measuring a car in the RJHS parking lot and shrinking it down to a scale factor of 10.5. Students draw the front and side views of their model car and make modifications to it that show their personality, including paint, rims, tint on windows, decals, etc. They then write a paper to explain their changes and present it to their class. The goal of the project is for students to be creative while learning how to scale an object down.